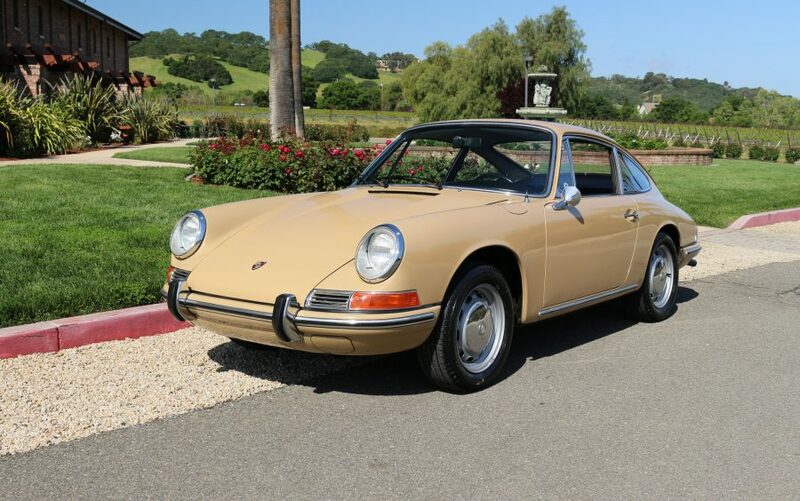 1967 Porsche 912 Coupe with 100% solid original floors and superb body gaps, no rust ever. Original factory undercoating in excellent condition, original paint in the door jams. Five-speed factory gearbox 902/1, Sand Beige 6607. Black interior in largely original condition. Stored for many years and rarely driven, low miles. We purchased new tires and serviced the engine and brakes, runs and drives well. We go to extents to document our cars in pictures and provide the most transparent listings on Ebay. Please study the pictures carefully rather than requesting descriptions. Please complete any inspections or ask any questions prior to bidding or committing to buy the car. Thanks for the interest!